says he AGREES with ... the Rockets will almost certainly NOT win a title with the guard being SO ball dominant. "This way that we're playing, won't happen in the playoffs," the Houston superstar said Tuesday night ... "It won't get us to where we want to go." 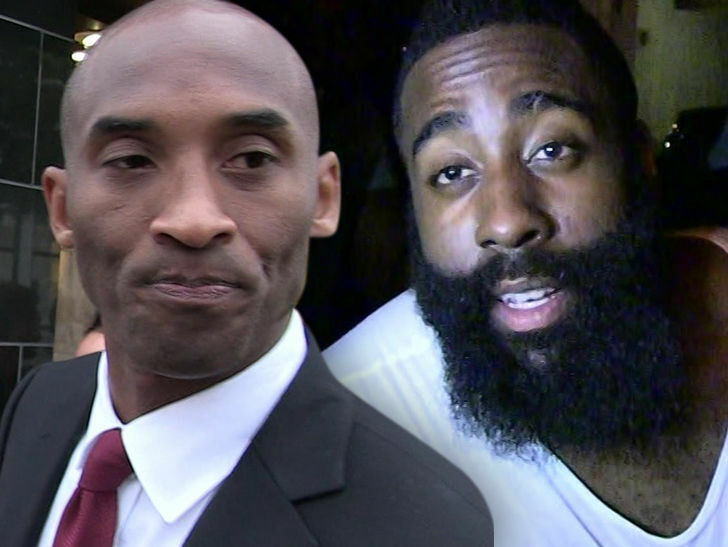 ICYMI ... Kobe served up a warm take about Harden's recent hot streak to ESPN's , saying, "I'm not a fan of it in terms of winning championships." He added, "I don't think that style is EVER going to win championships." Of course, the style Kobe is referring to is Harden's recent play where he's scored nearly every one of his (many) points in isolation. In fact, Harden's playing so selfishly ... there was a streak last month where James scored 263 STRAIGHT points UNASSISTED. But, James says he understands Kobe's criticism -- and says he has no plans to replicate this style of play once the Rockets get healthy and truly begin their hunt for an NBA title. For his part, Kobe seems to understand all that ... telling Nichols he expects things to change as well once really gets back in Houston's mix. "You have to do what you have to do to win games. And, he's doing that."